Slowly, but surely, I am creating favorite places in and around New Jersey, and New Paltz, New York, is one those favorites. 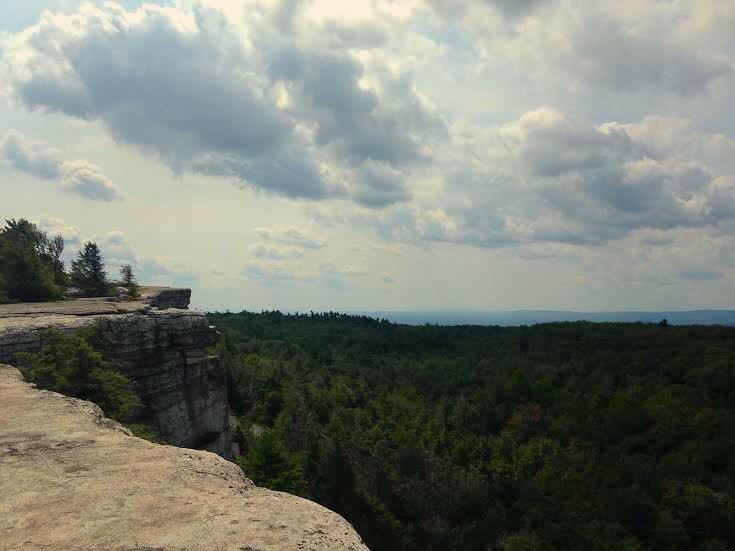 It all started with a trip to Minnewaska State Park shortly after moving here. We took a hike to the lake, swam, and finished with a harrowing mountain biking adventure back down that was only harrowing to me. That excursion ended with a meal at the fantastic Turkish restaurant in the little city of New Paltz. Nowadays when Alex and I go, we start with a hike/run -- I hike up, he runs up a different route, and of course I try to beat him to the top. Good morning, folks. Today, I will be hiking through Minnewaska State Park, fueled by morning glory muffins. I had this recipe on my mind all week and eventually got around to baking them yesterday morning. 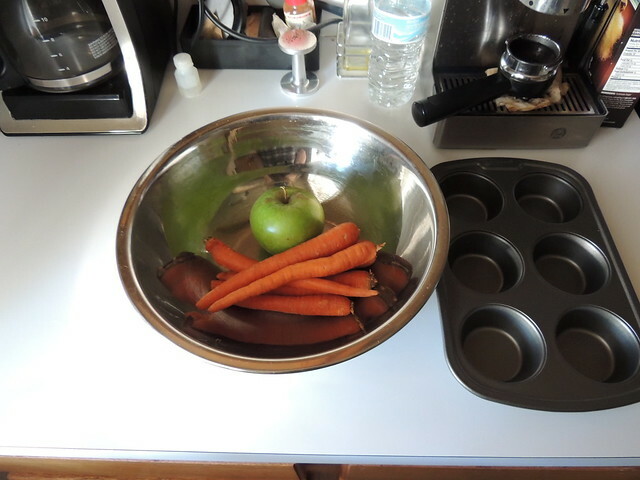 My mom would often make a similar muffin with shredded carrots, apples, and ground flax seed, only I forgot to ask her for the recipe. 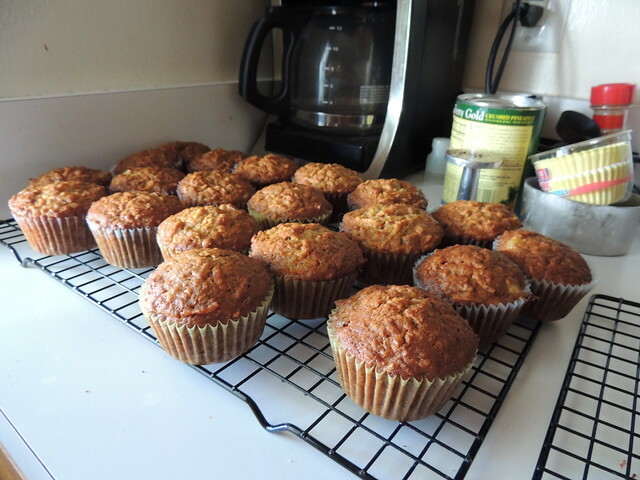 Until I get it, I settled on a recipe for the original morning glory muffins, found from Earthbound Farm. I dig the tropical inclusion of pineapple and coconut paired with spicy cinnamon. I wish I realized beforehand I didn't have enough pecans, because a crunchier bite would have made the muffins even better. Truth be told, the reason I put it off is because I loathe grating cups and cups of veggies/fruit. Procrastination at its finest! My biggest pet peeve about muffins are squatty, hockey puck things, usually resulting from underfilled cups. When the recipe says to "fill to the brim", you best be filling those cups to the brim. Mine were filled just under the brim because I can't read real well. You should make these muffins. Alex, who isn't a muffin man, enjoyed two of them. My writing club group did, too. 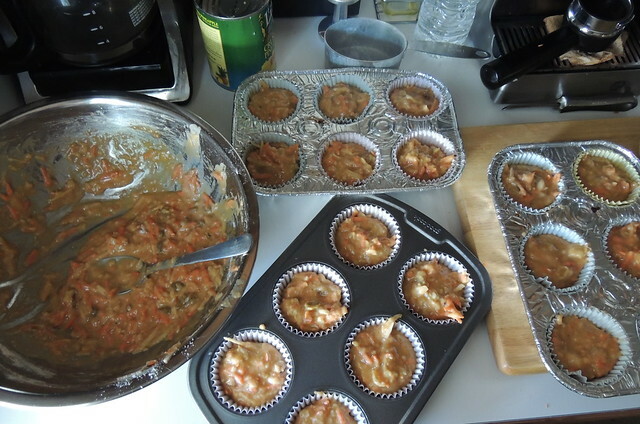 From this batch, I got twenty-two muffins -- enough for eating now, and some left over to freeze for later. 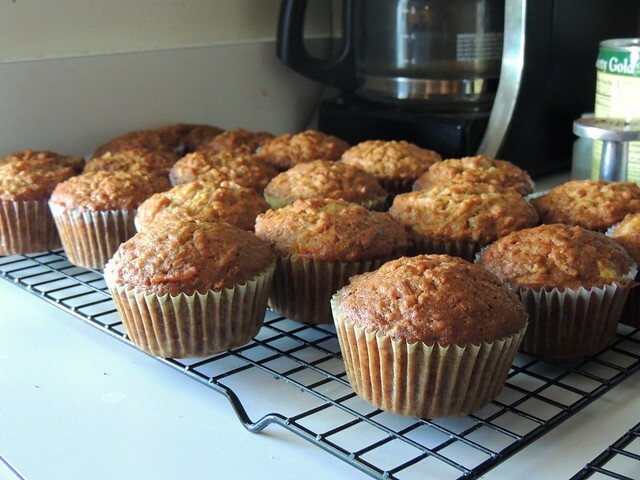 I insist you start your morning off right by getting up immediately and baking these glorious muffins. They'll come in handy for fueling your weekend adventures. I'll see you when I get back from my hike!